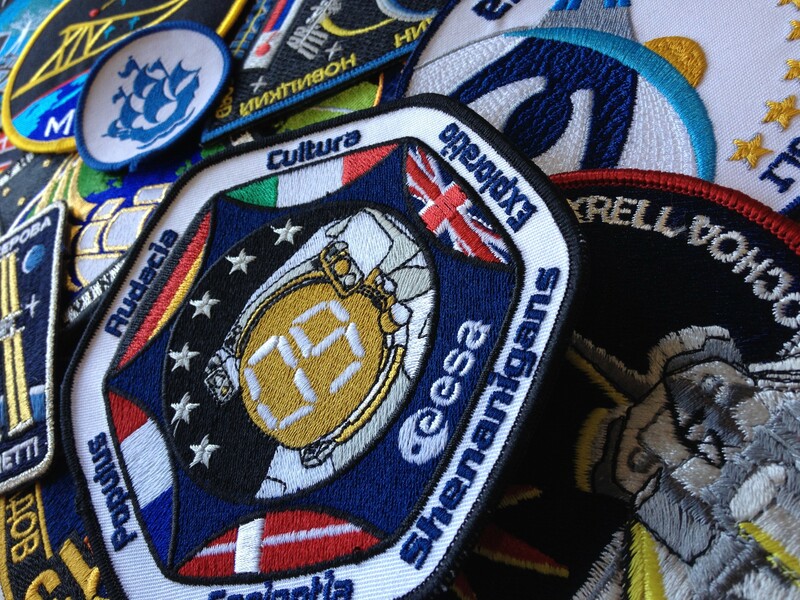 On 4 September, Blue Peter launched their competition for the children of the UK to design the mission patch for European Space Agency (ESA) astronaut Tim Peake’s Principia mission to the International Space Station. Tim has chosen this name to honour the great British scientist Sir Isaac Newton and his famous work Principia Mathematica which described, for the first time, the laws of gravity which are so fundamental to the whole of spaceflight. Mission patches have long been a part of the tradition of human space flight. They are usually designed by, or in conjunction with, the crewmembers that will fly the mission, and with symbolism in mind. 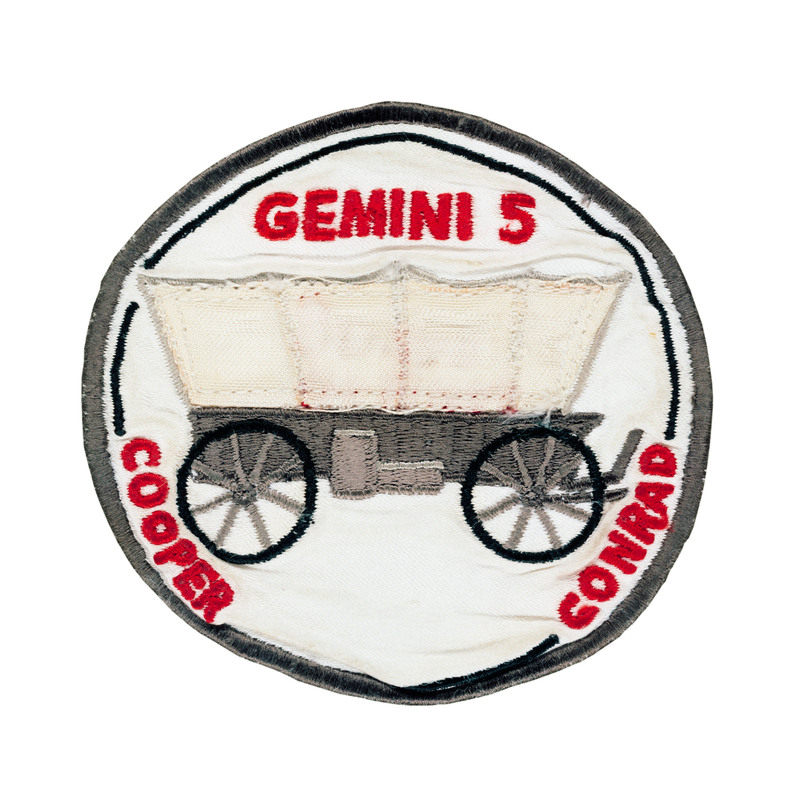 Gordon Cooper and Pete Conrad were the first from NASA to design one for their Gemini V mission in 1965, which featured a wagon of the type used by the pioneers who colonised the United States. They chose this to reflect the pioneering nature of their mission, which was planned to last for 8 days, the longest that any humans had at that time been in space. The Expedition 46 patch, which is one of four that will be associated with Tim’s Principia mission, depicts the Earth along the top of the patch, filled with the flags of the countries of origin of the 6 crew members of Expedition 46. 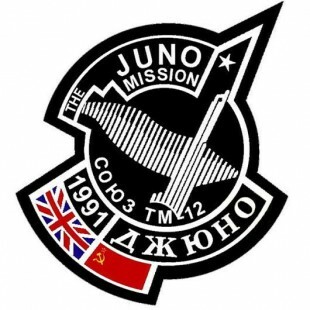 The crew chose to give the Union Jack prominence in recognition of the significance of Tim’s mission, as that of the first British ESA astronaut to fly in space. In echoes of the Gemini V patch, the triangle shape, with an unbroken border, symbolises the infinite journey of discovery for past, present and future space explorers. Whilst Tim is the first Briton to fly with the European Space Agency, he is not the first Briton in space. That honour belongs to Helen Sharman, who visited the Mir space station for 8 days in 1991 in a mission known as Juno. The Juno mission patch features a flying goose, which represents the name of the mission by drawing on the Greek myth of Aphrodite's chariot being drawn by geese, and that of the Temple of Juno in Rome which was guarded by geese. 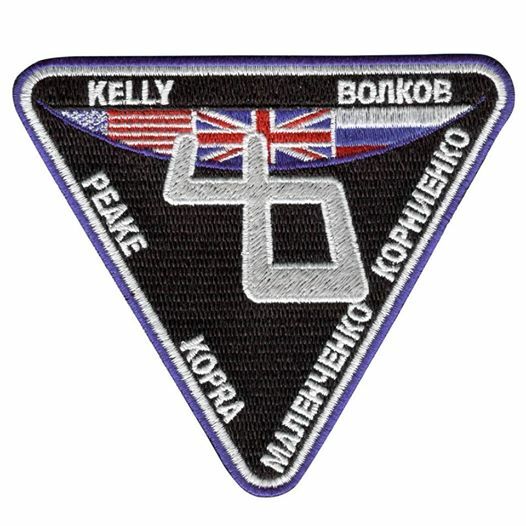 As well as the Expedition 46 patch, there will be a patch for the Expedition 47 crew, another for the Soyuz spacecraft that will carry Tim to and from the ISS along with Tim Kopra and Sergey Zalyotin, and finally the one for Principia. Tim is looking forward to seeing what inspires people in their designs and the symbolism they include. The winning design will have the honour of becoming a symbol of Tim’s mission and part of the great gallery of mission patches. Find out more about Blue Peter’s competition, and sign up to our Tim Peake newsletter for the latest updates on his mission. You can even follow Tim, and the Agency, directly through Twitter.